Regiment/Catrawd: Royal Welsh Fusiliers, 8th Bn. Son of Samuel and Adelaide Baldwin (nee Catherall). In 1939 Jack was a boarder with his aunt, Catherine Catherall at 1, Stanley Road. He was born 11 March 1918 and was employed as a hand moulder in the brick industry. Jack’s mother had died the 4th quarter 1918, the same year he was born. From Buckley at War, Jack was due to be married to Miss M Rogers of Northop the following week. The 8th Battalion RWF were a Territorial Unit that served in the UK on home defence. From information on his grave, Jonathon was killed by lightning. 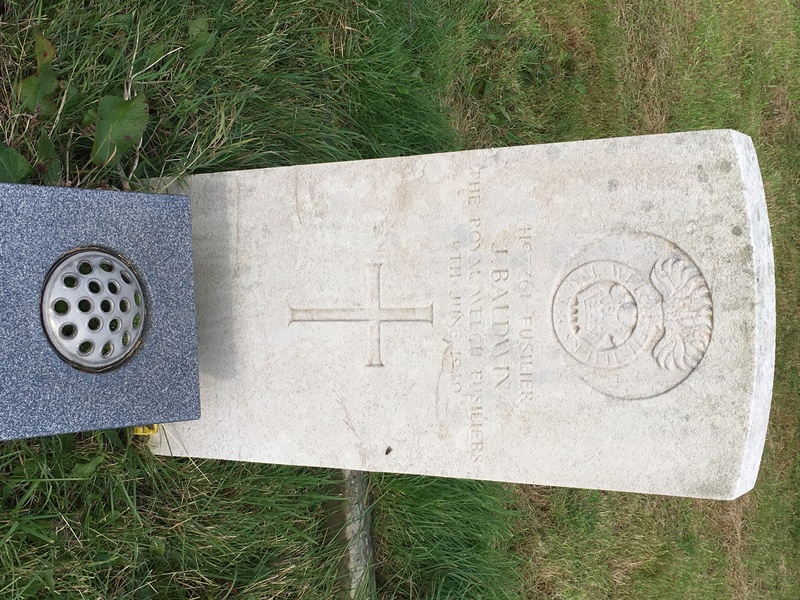 Jack is remembered on a Commonwealth War Graves Commission grave at Bistre Church. Our Dear Jack, R.W. F.